So what happened was, I decided to reread Little Women. Actually, I decided to read it, in its entirety, for the first time. I read my copy of Little Women to death, over and over and over, when I was a kid, and didn’t realize till years later that it was an abridged edition — the very same abridged edition pictured here, in fact. It was the complete story (originally published in two volumes as Little Women and Good Wives), but it was trimmed all round, shorter and tighter. Yes, my decision to finally read the unabridged version was connected to me not bringing enough e-books on vacation and starting to rifle through the free “classics” on the Kobo, but once I started I got just as absorbed as when I was 12 and couldn’t put it down. It’s great stuff, even more sentimental and preachy than L.M. Montgomery (to whom I will be comparing L.M. 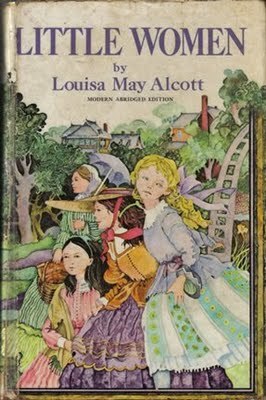 Alcott a lot in this, so prepare yourself), a lovely moralistic period piece salvaged from the ranks of pious 19th century children’s books by some truly great and memorable characters. And it has two great, unavoidable climaxes that have been provoking a strong reaction in readers since the second volume (where it all goes down) was published in 1869. Beth dies, and Jo refuses to marry Laurie — a crashing romance failure made even worse when he happily settles for her sister Amy, and Jo marries some middle-aged German guy. Having read this and absorbed it like a sponge in childhood, it’s time to return to it with a dispassionate adult brain and see how the things that bothered me so much as a young reader strike me now. I went through a phase of reading Agatha Christie many years ago and read through all the Miss Marple books, but I’d never picked up anything else of hers. 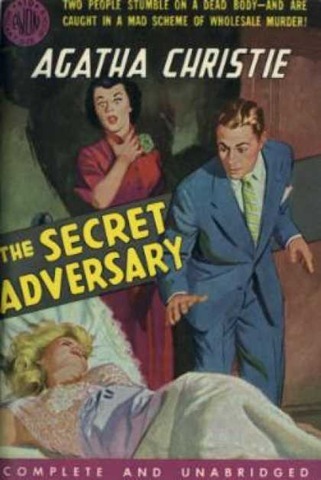 The Secret Adversary is an Agatha Christie book I’d never heard of, which just happened to be among the 100 free books you get with a Kobo. When, as referenced in my last post, I tragically ran out of e-books on our trip to Europe, I started trolling through the Kobo’s freebies and found this. It’s a fun little mystery/thriller set in 1920s London, starring neither Miss Marple nor Hercule Poirot nor any other skilled detective, but Tuppence and Tommy, two rather hapless young adults who, at a loss for well-paying employment in the upheaval of the postwar world, decide to set themselves up as “adventurers” without any very clear idea of what that might mean. Of course, as happens in such novels, their plans are overheard by someone who quickly gets them embroiled in a very big adventure indeed — one which involves spies, international conspiracies, and a missing woman ends up being potentially quite dangerous. Eventually the plot is unravelled, disaster averted, and, as a bonus, romance blooms. It’s all a bit of fun, in some places more like P.G. Wodehouse than Agatha Christie (though not quite as ridiculous or hilarious) and it’s also interesting as a slice of life from a particular historical era. It’s interesting, for example, to see a writer speculate (even as a fictional device) on the great Bolshevik plot behind the English labour movement in the 1920s, and on the frustration of young middle-class women who had found meaningful work during the war years and had no desire to return to being dutiful daughters aftewards. I enjoyed this book quite a bit, and was interested to find that Christie wrote more Tuppence/Tommy stories, which I may have to track down. I bought this book for Emma’s e-reader because it was recommended to me as a good book for an eleven-year-old girl, but although she started it, she never got into it — it just didn’t connect with her for some reason. Maybe another time she might pick it up and like it — with kids and books, who knows? Meanwhile, I started it when I ran out of my own e-books on our trip to Europe, and read it on the train journey between Rome and Naples. I found it absolutely gripping, so it’s definitely one of those kids books that’s not just for kids. 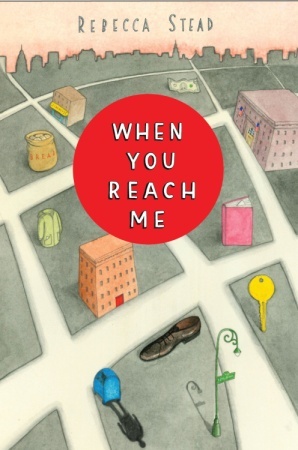 When You Reach Me is a story about time travel. A young girl in New York City starts receiving mysterious messages and can’t figure out who’s leaving them. There are enough hints in the book to make it fairly clear early on that someone has come back from the future to prevent a tragedy — but who’s travelling in time, and why, and how Miranda pieces it all together, makes a gripping story. I’d definitely recommend it to your eleven-year-old, but if he or she doesn’t immediately fall in love with it, pick it up yourself and give it a try! I loved Nic Sheff’s memoir Tweak and, even more, his dad’s memoir Beautiful Boy, so of course I wanted to read Nic’s sequel. 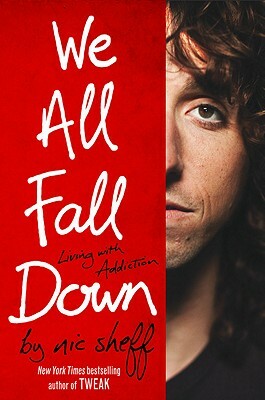 We All Fall Down is subtitled Living with Addiction and that really is what it’s about. It starts in rehab and ends with Nic clean and sober — at least for now — but it’s in no way a straightforward or triumphant journey. The thing with Nic Sheff is, he’s still really young and he’s still really an addict. You could argue that he didn’t let enough time go by between recovering from his horrific addiction (to crystal meth, mostly, but also to other drugs) and becoming the latest addiction-memoir-author. It seems he relapsed at least once while writing Tweak and then again while promoting the book on tour. We All Fall Down is the story of what happens after the addiction-memoir happy ending — how Nic struggles with rehab and its rules, tries to get clean on his own, succeeds and fails, convinces himself he’ll be OK if he limits himself to drinking alcohol and smoking weed, writes a book about addiction, promotes it, gets worse, gets better, gets wiser. It’s a really messy book, and if you read Nic’s now-defunct blog or his columns at addiction/recovery website The Fix (especially if you read the comments by people who know him in real life), you can see that Nic Sheff is living kind of a messy life, out there in public (although apparently he is clean now). He’s not writing about his youthful addiction from the distance and perspective of a wiser old age; he’s writing right through the middle of it, and if you know much about the life of young addicts, it’s almost painfully realistic. Nic Sheff’s writing style — consciously mimicking the spoken word, down to including “like” and “um” as constant interjections — gets irritating to me at times, but there is a raw honesty here about the messiness of addiction and recovery that you don’t always get in these types of memoirs, and I wouldn’t want to have missed reading it. Seriously, how much of a review do I need to give this book? It’s Tina Fey, writing about her life and her experiences as a comedian. If you like Tina Fey’s work, you know this is going to be hilarious, honest and occasionally a bit thought-provoking, and it does not disappoint. You might enjoy it even if you’d never watched Tina on Saturday Night Live or 30 Rock, but if you have, then you’ll definitely love this behind-the-scenes glimpse into her life and work. I love her sense of humour and her insight into being a woman in the entertainment business — especially on the ridiculous patronizing questions she always gets about being a woman in the entertainment business. 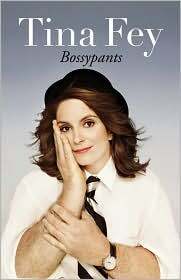 Bossypants is a very short book, but I found every page enjoyable. My only complaint is that there weren’t enough pages and they turned too fast! 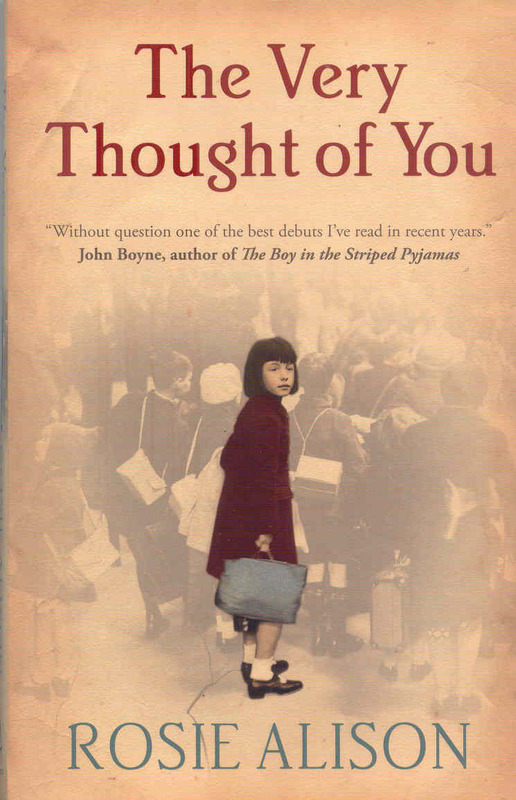 The Very Thought of You is set during the second world war in England. A young girl evacuated from London is sent with a group of others to a big country house where the unhappily married couple who own the house have decided to distract themselves from their unhappiness by opening a school for evacuees. The point of view shifts from young Anna to several of the adults in her new life, as well as her mother, left behind in London. Lonely Anna is deeply influenced by the adult relationships she only half-understands, and begins to hero-worship one of her teachers, the owner of the house, Thomas Ashton. The book is a lovely period piece and gives us glimpse into several different kinds of lives during the war years. However, I found it a little unconvincing, especially in the later chapters which show the long-term impact of the war years on Anna’ life. I found it hard to believe that her obsession with Thomas Ashton went as deep and lasted as long as portrayed here — the conclusion didn’t seem to be borne out by what had gone before. This was an interesting book, but not, for me, a compelling one. 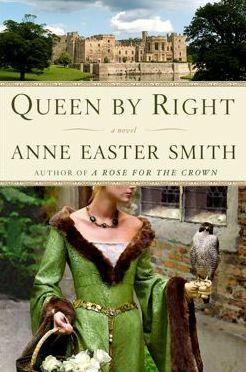 Queen by Right is a good, solid, bulky historical novel set in an era I love — the Wars of the Roses — by an author I hadn’t read yet. Smith has written several books about different characters from this fascinating period in English history, which don’t need to be read sequentially. I picked up Queen by Right because it deals with Cicely Neville, mother of Edward IV and Richard III, and I’ve never read anything written from her point of view. One of the things that makes this historical period such great ground for novelists is that there are so many strong women as well as powerful men among the cast of characters: you get not only greats like Edward, Richard, Warwick and the rest but also Marguerite d’Anjou, Elizabeth Woodville and her mother Jacquetta, Margaret Beaufort, and of course Cicely Neville. This novel takes Cicely’s story from her childhood to the death of her husband, Richard of York. The focus is mainly on their relationship and on the difficult question of how York actually became a contender for the crown — was he really power-hungry, or simply forced into a situation where he thought he was doing what was best for England and for his family? I was disappointed that the story didn’t continue to show us Cicely’s viewpoint of the conflict as her sons became major players, eventually turning against one another, but there’s more than enough material in her early life to make a compelling book. The historical detail is completely convincing, though I found the dialogue a little stilted in places. Still, if this era and its powerful women behind the throne interest you, this is a book worth picking up.